I paid for my son and his girlfriend to stay for his 30th birthday. They traveled all around Italy and stayed at some amazing Places but Villa Flagio he said was by far the best. He felt as if he was at the home of relatives. And this is coming from one picky boy!! Converted villa, which is why they don't have amenities. But we had the Attico - only room on top floor with private entrance and veranda overlooking the harbor. Great view and location. Room was spacious, clean, comfortable. Staff was very helpful. Perfect location near the beach, dining and shopping. Staff was super friendly and helped us make arrangements at local restaurants and arrange transportation between cities. They made it very easy to relax and enjoy our holiday. Very flexible check in and staff was helpful in giving advise of what to do in the area. The location cannot be beat! 5 min walk from the port and 15-20 min walk from the bus stop. Located on the same level as the church. Worth the money! It was very clean , beautiful view and the staff was incredibly nice . We loved it so much we didn’t want to leave. 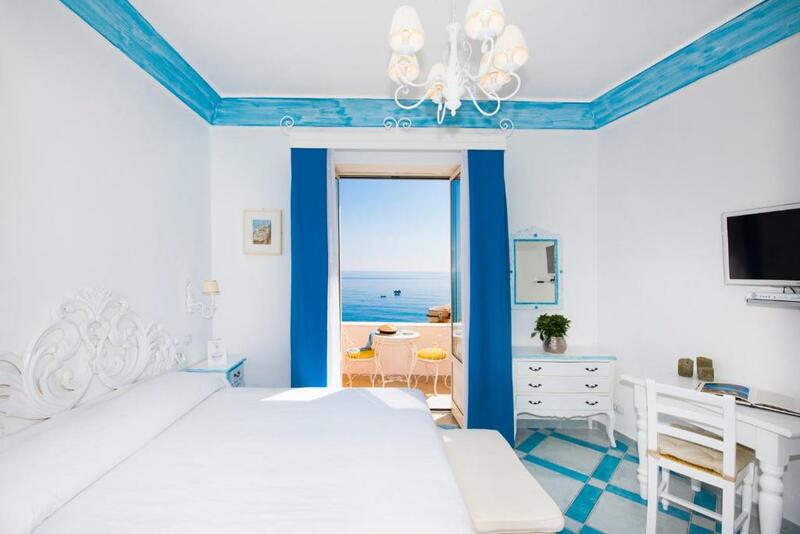 This is a fabulous hotel and we would highly recommend it to anyone looking to visit Positano. 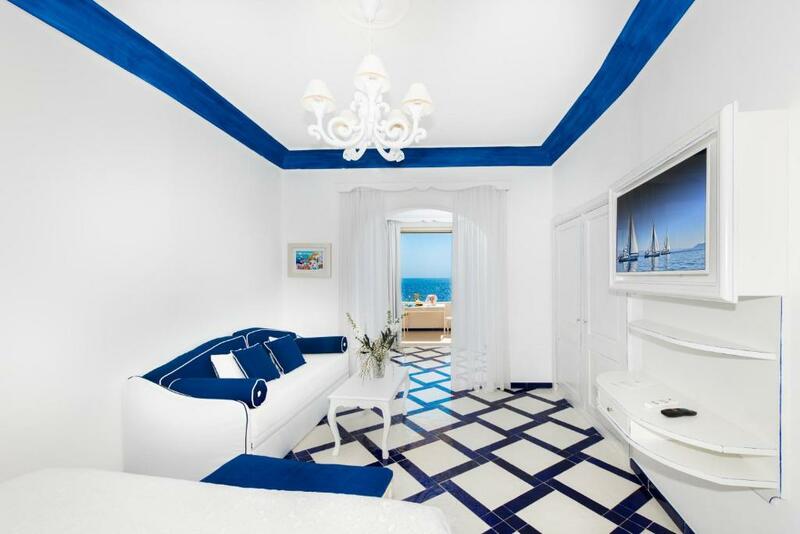 The hotel is clean and beautifully decorated with a beach/vacation vibe. The location could NOT BE BETTER! It's very centrally located with a short walk down to the beach (not too many stairs!) and an easy walk up the street to great bars and restaurants. There's a little market located under the hotel for wine, snacks, sandwiches etc... The room had a fridge, plates/glassware, and even a hot plate/mini stove top. Our balcony was the perfect size and was great to sit on day and night. Amazing location, fantastic view, perfect room. HIGHLY recommend this hotel to anyone looking for the perfect place to stay. The location was perfect, the staff were very friendly and helpful, and the room was exactly what we were looking for. If we ever return to Positano, I would definitely stay here again, and I would recommend it to others. We loved staying here! Location perfect ! Loved it. Couldn’t love the place more. The villa is in a perfect location, easy walk from the pier and plenty of shops and restaurants. The rooms are very clean and staff was helpful when we arrived to inform us of all the amentities and helped us during our stay to get laundry services and make reservationsfor dinner. Our room had a small kitchenette that was well supplied and the balcony was perfect. There was a crowd during the day on the area outside our balcony but just reinforced the amazing view we had. Highly recommend staying here. Lock in a great price for Villa Flavio Gioia – rated 9 by recent guests! One of our top picks in Positano.Set 200 feet from the beach at Positano, this family-run residence offers air-conditioned rooms and apartments with satellite TV. The marina is a 3-minute walk away. 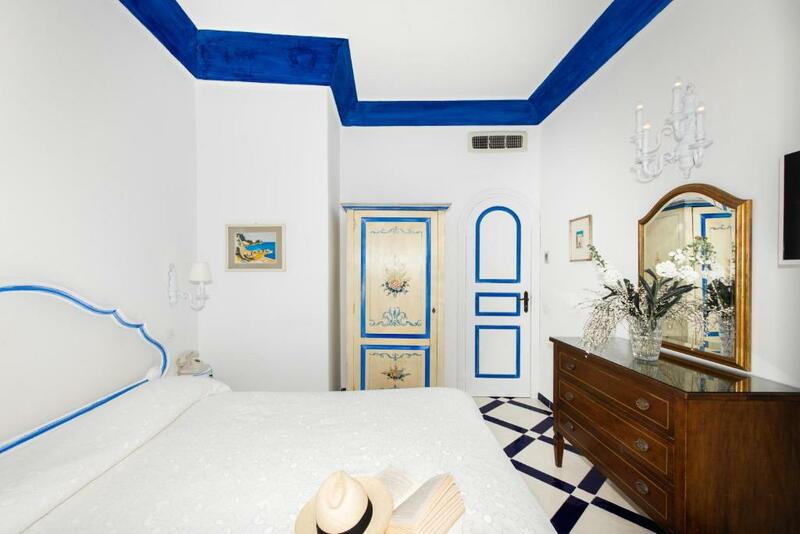 All accommodations at Villa Flavio Gioia have bright furnishings and cool tiled floors. Apartments include a kitchenette. Some apartments have views of the Mediterranean Sea. A choice of restaurants, cafés and shopping are in the surrounding streets. Sorrento Train Station is 7.5 miles away, and it is a 45-minute drive to Highway A3. 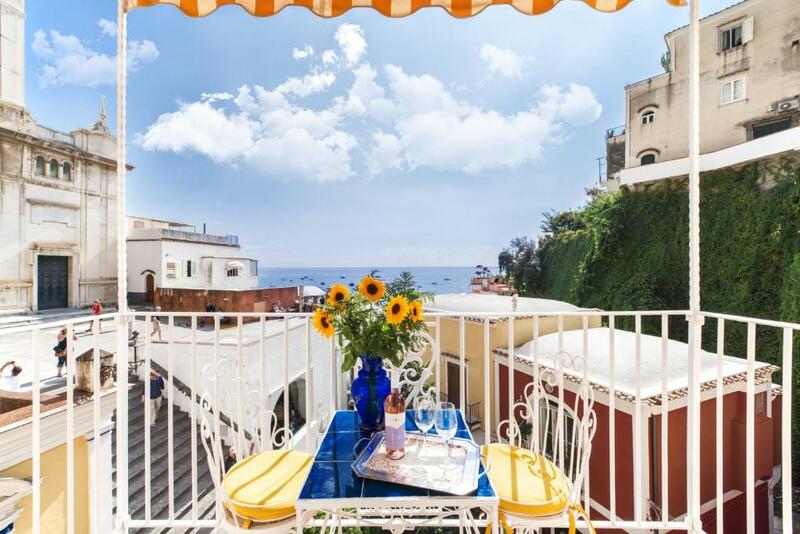 뀐 Located in the real heart of Positano, this property has an excellent location score of 9.6! When would you like to stay at Villa Flavio Gioia? Featuring views of the Mediterranean Sea and a kitchenette. All air-conditioned accommodations has free WiFi, bright furnishings and cool tiled floors. 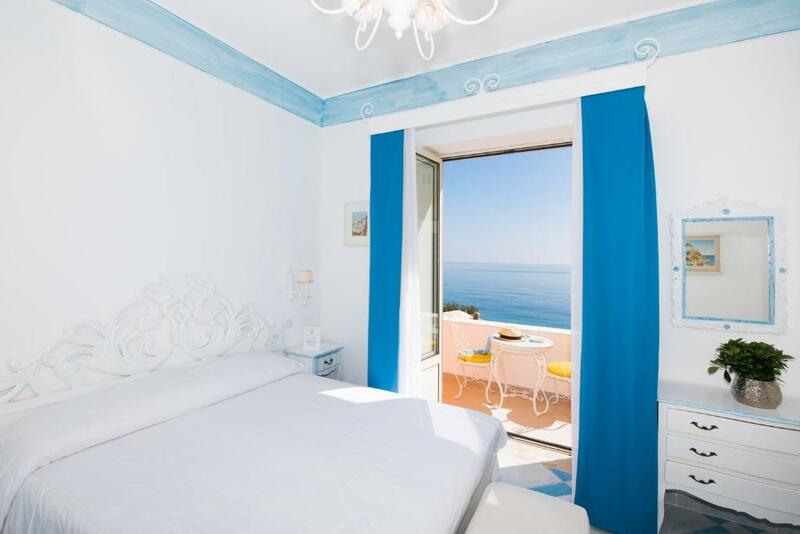 Featuring a patio with views of the Bay of Positano and sun loungers, this studio with free WiFi has a kitchenette and a private bathroom. Comes with bright furnishings, cool tiled floors and air conditioning. Featuring a sea-view balcony. All air-conditioned accommodations has free WiFi, bright furnishings and cool tiled floors. Featuring 2 sea-view terraces. This apartment consists of 3 bathrooms and a comfortable living room with kitchenette. All air-conditioned accommodations has free WiFi, bright furnishings and cool tiled floors. All air-conditioned rooms have bright furnishings, internal views and cool tiled floors. Wi-Fi is available at extra cost. This elegant villa consists of 2 bedrooms, 3 bathrooms, a spacious living room and a fully equipped kitchen. Includes a shower, free WiFi and a 200-m² garden. Located right next to the main building. Includes a kitchenette and internal views. All air-conditioned accommodations has bright furnishings, satellite TV and cool tiled floors. Wi-Fi is available at extra cost. 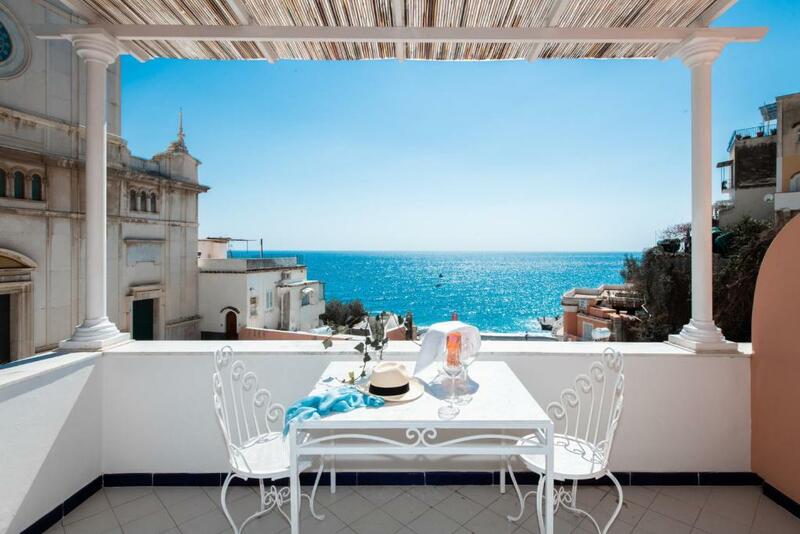 Featuring a balcony or terrace with views of the Mediterranean Sea and a kitchenette. All air-conditioned accommodations has free WiFi, bright furnishings and cool tiled floors. Featuring a terrace and a kitchenette. All air-conditioned accommodations has free WiFi, bright furnishings and cool tiled floors. 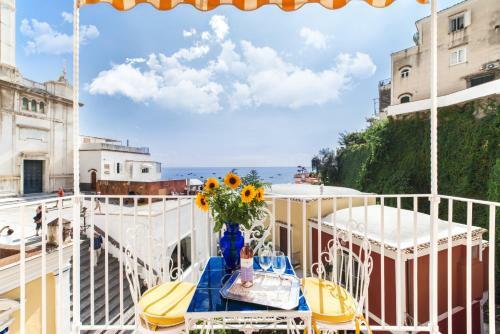 Villa Flavio Gioia is located few meters away from Spiaggia Grande, away from the traffic and the noise, right in the restaurants and shopping area. Our apartments have front sea view and we also have 2 units without sea view for budget travellers. House Rules Villa Flavio Gioia takes special requests – add in the next step! Villa Flavio Gioia accepts these cards and reserves the right to temporarily hold an amount prior to arrival. - Guests are requested to inform the property in advance of their estimated time of arrival. This can be noted in the Special Requests Box during booking. - During summer, the front desk is open until 10:30 pm. - The price of parking is for a standard-size car. Larger vehicles may be charged more. - Full payment is required at check-in. The Room was modern and clean. The price is a little bit high. Good service and people are kind. The parking is far from the hotel, it was raining it was very hard. The kitchen could have had a tad more amneties, such as a microwave oven or an espresso machine. 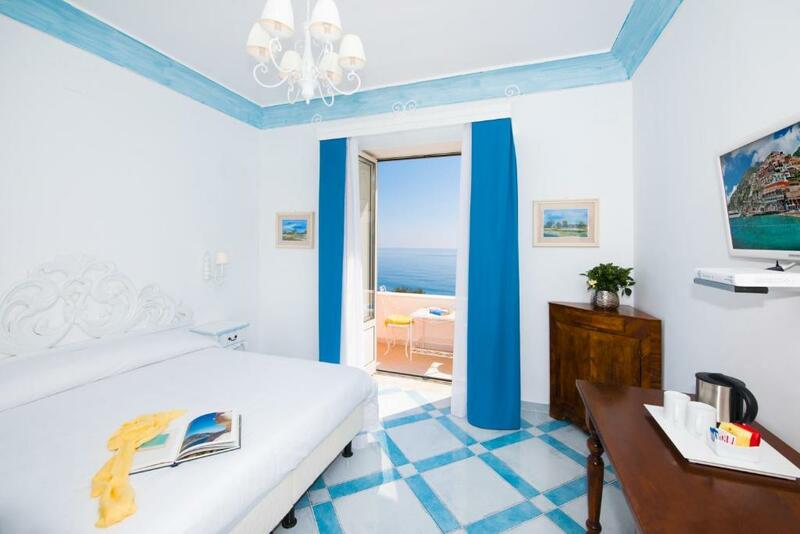 This a very pleasant self-catered hotel with a stunning location in the square of the main church of Positano. 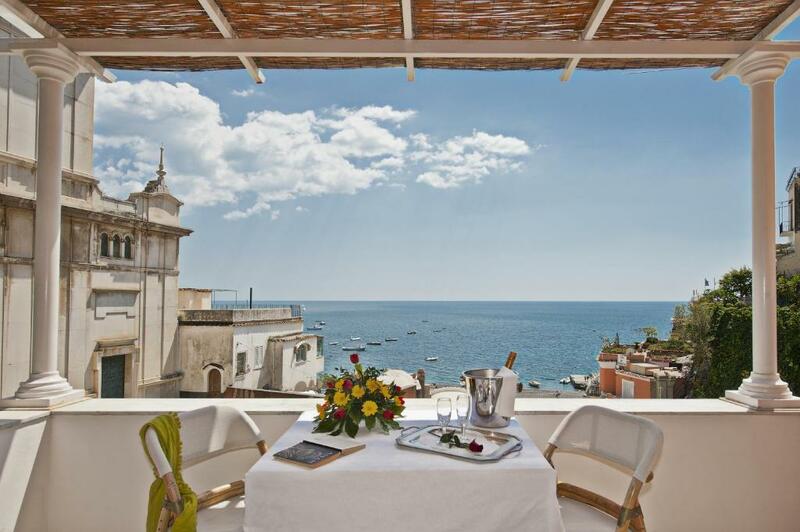 Rooms have small balconies facing the Salerno gulf, with absolutely stunning views. A bunch of nice restaurants and shops are a short walk away, in the pedestrian area of the town. Restaurants here are not that great, given their location, but they are reasonable and the views compensate. Shops are eclectic and surprising, some in a good sense, others in a bad one, but this makes the exploration fun. Zero international brands, and that to me was a huge plus. There is no breakfast, but several restaurants with extensive breakfast menus are less then 5 min. walk away. The rooms are pristine clean, very tasteful, with a comfortable king size bed, well serviced every day. They also have a small kitchen with an electric stove, a sink and not much else, but with a full set of glasses, cutlery and pots. No dishwasher, though. The hotel also has an absolutely delicious, small, private garden with bench seats where one can read a book at the shade of orange trees. Certainly a place where I want to return, and that for me is a very rare thing. Great property exceeded my expectations. Super friendly staff, Christiana went out her way to help us. My mattress on the sofa bed was uncomfortable and there wasn't one comfortable chair inside the room. Location couldn't have been better ! Right in the heart of city, close to the beach and also many restaurants around the area. The bed was actually two beds put together which caused a split or uncomfortable spot for sleeping with partner. At least an appropriate size mattress topper could have helped. Otherwise our stay was great! The room had a connect with another one, so it could be heard easily when neighbors came back at night and were pretty loud talking. We were woken up by them. The reception was not picking up the phone when we arrived, so we went to have a coffee and then called them from the bar. There are 2 entrances - you should use the upper one, getting through the small garden, not the lower one besides the church. The location of the place is perfect - just 3mins from the beach and close to restaurants and coffee shops where you can have a sweet breakfast. Room is spacious and has a nice organization of space. We also liked that it has wooden shutters as it's bright outside at night. It was nice to have tea and some sweet treat in the room. Positano is really nice place to visit, especially after the high season. I recommend to come by boat - we couldn't as the wind was too strong.